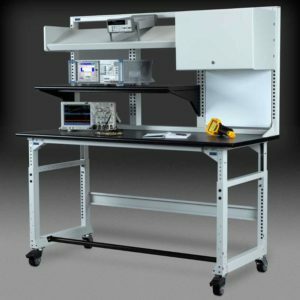 Now available from HM Cragg: Eaton’s TechBench workbench systems. 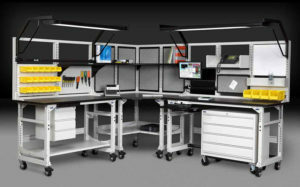 TechBench is a solidly constructed workbench system engineered to organize technology, tools and test equipment to maximize worksurface area and efficiency. TechBench systems are designed specifically for engineering, manufacturing, test and assembly environments. HM Cragg is here for ALL your Eaton 3-Phase Needs! Please call us with your 3-phase projects! Eaton 9355, 93E, BladeUPS, 93PM and 9395 can all be purchased through HM Cragg ( without any required interaction with Eaton Avery Creek). If you need assistance reviewing specifications, one-line drawings or arranging for a site walk, let us know —we can help you! If your application is IT, oil and gas, network, industrial automation, water treatment or other, HM Cragg can support you. 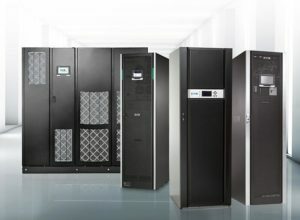 Whether your project is indoors or outdoors, large UPS or small, our world-class technology team will provide the solution that best fits your application! Additional discounts are available for approved deal registrations. All 3-phase UPS purchases through HM Cragg generate credit toward annual Eaton goals. All purchases through HM Cragg generate proper credit for Eaton employees. 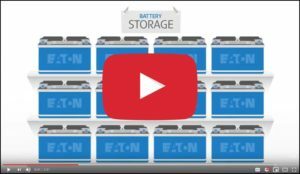 This Eaton “Ask Ed” video covers the difference between battery storage life and service life.